In addition to our superior raw materials we take our products one step further by preserving them in organic grape alcohol and amber glass. Unlike other preservatives our organic grape alcohol enhances the delivery & bioavailability of our ingredients. The amber glass protects from harmful light rays. With our glass dropper there are no worries about plastics leaching into your vitamins. 180 servings at 1000mcg(1oz) or 450 servings at 1000mcg(2oz), vegan and vegetarian friendly. Serving size is perfect for those who prefer to space out their consumption once or twice more for optimal absorption throughout the day. And no need to worry about the added chemicals in time released capsules. Non-GMO, gluten-free, vegan/vegetarian, no synthetic preservatives, dairy, soy, added sugars, fillers, binders, flavoring or dyes. Only 100% Methylcobalamin, purified water, and organic grape alcohol. It comes down to one molecule. The methylcobalamin has a methyl group (carbon and hydrogen) while the cyanocobalamin has a cyanide group. Obviously cyanide is not something you would expect to find in your vitamins. Also, our bodies have no use for the cyano- compound itself. Once in our bodies we will begin trying to remove it. It does not occur naturally in any living organism. Why take the inactive form (cyano-) which requires the body to break it down into the active form (methyl) when you can start with the active form (methyl) right from the moment it enters our body. The amount of cyanide released in the conversion process is not thought at this time to cause any damage. We ask though, why put a known poison in your body when you don’t have to? On top of not having been processed with cyanide, research has shown that the Methyl- version remains in the body for longer periods of time and at higher levels than cyanocobalamin. This means your body is supplied with B12 for longer meaning we don’t need to take as much to have the same effect. 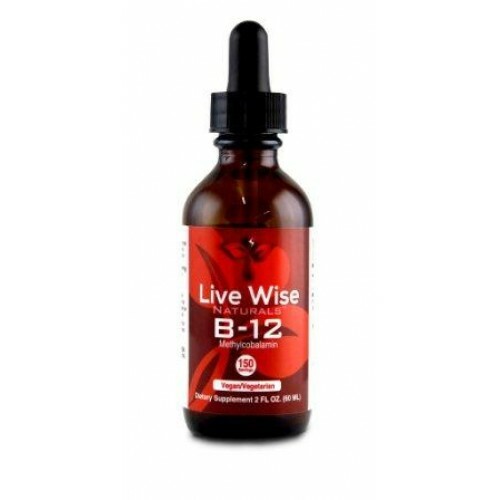 Taking sublingual methylcobalamin (under the tongue) allows the body to bypass the digestive system where there can be issues for many in properly absorbing the B12. This ensures our body gets what it needs. 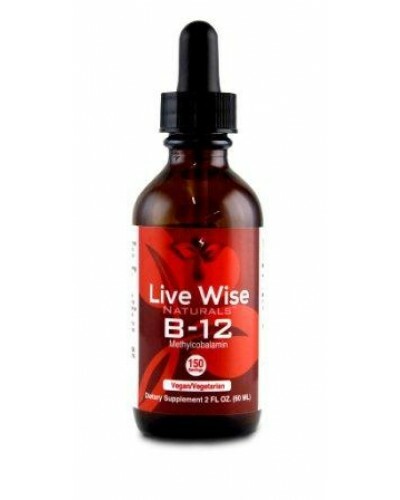 As we age it becomes harder and harder for our digestive system to absorb B12. Why do many vitamin suppliers choose Cyano- over Methyl? It’s disappointing and probably not surprising, cost. Manufacturing the cyano- form is much lower in cost than making methylcobalamin. At Live Wise Naturals, we aren’t going to provide the lowest cost supplements so we make more money. We are going to provide the highest quality, most bioavailable products possible. With us you know your body will be able to absorb and fully utilize our ingredients. *These statements have not been evaluated by the FDA. This product is not intended to diagnose, treat, cure, or prevent any disease. Store in a cool, dry place (59-85 degrees) away from direct sunlight. Keep out of reach of children.